Why Do I Need A Fitness App? Get workout inspiration or track your workouts with an app! The smart phone has become our most indispensable device. Everything that we need to do in life and work is stored in our smart phones as an app. An app is a program designed to manage specific tasks. From project management to hailing a cab, there is an app for every function. If you want to be healthy, there are fitness apps. And these are designed to boost your exercise results! Many people trace the history of the app to 2008 with the launch of the App Store. But the first app was produced in the 1980’s. Those who were around in the 1980’s, may remember the Motorola DynaTAC 8000X. This is generally considered as the first commercially available cell phone. It was referred to as “The Brick” because of its thick 33.02cm x 4.45cm x 8.89 cm dimensions and it weighed in at 1.1kgs. It had a built- in software application which managed simple contacts listings in its operating system. The demand for mobile phones was growing and manufacturers wanted to differentiate their products in the market by including gaming applications such as “Tetris”, “Snake” and “Pong”. As consumers became more mobile dependent, developers started to shift their focus toward functional applications. By the new millennium, companies such as Apple and Samsung started to open up their operating systems to accommodate third party software developers. They were heading toward the implementation of smart technology. When the App Store was launched in 2008 it had 500 apps. By 2013, it had 900,000 apps. Among the types of apps offered, the fitness apps were held in particular interest because according to Privacy Rights Clearinghouse, these required its user to share the highest amount of personal information. Yet despite these privacy issues, people continue to download fitness apps because they help achieve health and fitness goals. Need some exercise ideas while you’re training? Search your app! Fitness apps are software programs designed to support your health and fitness program. 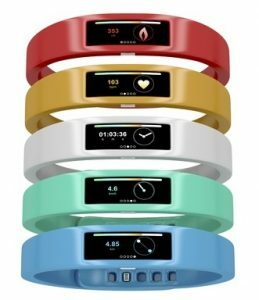 They provide many functions from creating exercise programs, recording your progress, analysing data, track calorie consumption, design diet plans and monitor quality of sleep among others. For the fitness woman who had just given birth, there are fitness apps available that can track baby’s sleeping patterns, feeding schedule and nursing habits or why baby prefers the left breast to the right breast! Apps have made it possible for consumers to receive information in real time. This is important in fitness because now you have available data to use as reference to institute improvements in your training program and diet plan. How Do Fitness Apps Work? Fitness apps are downloaded on your smart phone. But they do not need Internet service to run. This makes fitness apps convenient for people who train in different locations and use a variety of methodologies. 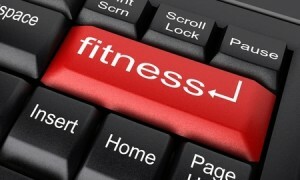 To make these fitness apps work and become productive, you should be consistent in uploading and updating data. Apps are data-driven; everything that you want an app to do will depend on the data that it has to work with. According to Albert Lee, CEO of MyFitnessPal fitness app, the goal of a fitness app developer is to make tracking as easy as possible for its user. For Lee, you can accomplish your fitness goals if you can track your progress consistently and accurately. Fitness apps can also be integrated with fitness wearables. MyFitnessPal has aligned its services with more than 80% of the available fitness wearables and devices in the market. Again it is all about data; updating, tracking and benchmarking. 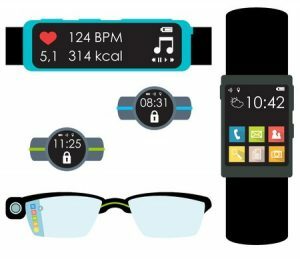 Set SMART Fitness Goals – Fitness apps ability to track, measure and calculate can help you develop SMART goals. SMART is the acronym for Specific, Measurable, Attainable, Realistic and Timely. Having these qualities makes your fitness goals achievable. Track Progress – With a fitness app, you are no longer clueless on how you are progressing in your workouts. A fitness app can do this because the data you provide will establish your fitness baseline. Access To Many Fitness Programs – A Personal Trainer may prove to be expensive for most people. Yoga and Pilates classes are quite costly. But there are fitness apps that will give you access to a variety of fitness programs with very little cost. Monitor Your Diet – For many, the battle for health and fitness is won or lost by your ability to maintain a healthy diet. Fitness apps can grant you access to a data base with valuable nutritional information on millions of food varieties. You can use this as a reference before making your food choices. Customize Your Own Program – With all of this information plus the data collected on your past and current performance, you would have the tools necessary to customise your own fitness program. Should You Hire A Personal Trainer Or Get A Fitness App? Whether you are an experienced in fitness or a beginner eager to get healthier or fitter, it is always good advice to have guidance. Personal Trainers are certified and experienced to provide professional advice to help you achieve your health and fitness goals. Not only can they design workout programs and diet plans but they will guide you throughout the routine to ensure you are practicing good form and technique. A Personal Trainer can also give you valuable feedback on your progress and help you assess deficiencies in your training. A fitness app can do most of these tasks for you. And it will not cost you much. The tasks it cannot do which a Personal Trainer can is give you an assist if you are training heavier than usual, or give you general feedback on your form during each exercise. DigiFit i Cardio – This is the fitness app for the stat-heavy trainer. If you have a heart rate monitor, this app will accentuate its value regardless of the type or level of activity. Not only does DigiFit I Cardio track your heart rate but it also measures distance. Endomondo – If you like working out in the outdoors, Endomondo is the fitness app for you. 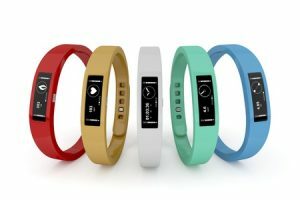 It can track cycling, running and hiking activities with accuracy. It comes with training plans and a coaching feature for the paid subscription. FitStar – If you are constantly on the road with no access to a local gym then you may wish to download this app. No weight machines are needed for these programs. The free version will give you the “Basic” program. Paid subscriptions will get you the “Get Strong” and “Get Lean” workouts. JeFit Workout – The perfect app for the logbook- carrying gym member. This app has tools to help you design weight-lifting workouts and allows you to upload details of your workout session. You can log you sets, reps, total weight lifted and schedule for workouts in the days ahead. MyFitnessPal – Gives you access to many tools for tracking your exercise progress and diet including the amount of calories your burn per activity. The calorie counter is reputed for being the easiest to manage with the largest data base for food and drink. These are just some of the best fitness apps in the market. Remember there are hundreds and thousands more in the App Store. Take the time to select your app before you download it on your smart phone. For sure, it will take your exercise program to a whole new level!